In 2008, Drew White, 22, of Normal joined Special Olympics competing with Special Opportunities Available in Recreation (SOAR). He competes in athletics, aquatics, basketball, tennis, volleyball and bowling. He is also a Global Messenger. Drew’s favorite part of Special Olympics is spending time with friends and sports. That’s why he loves participating in Unified sports. 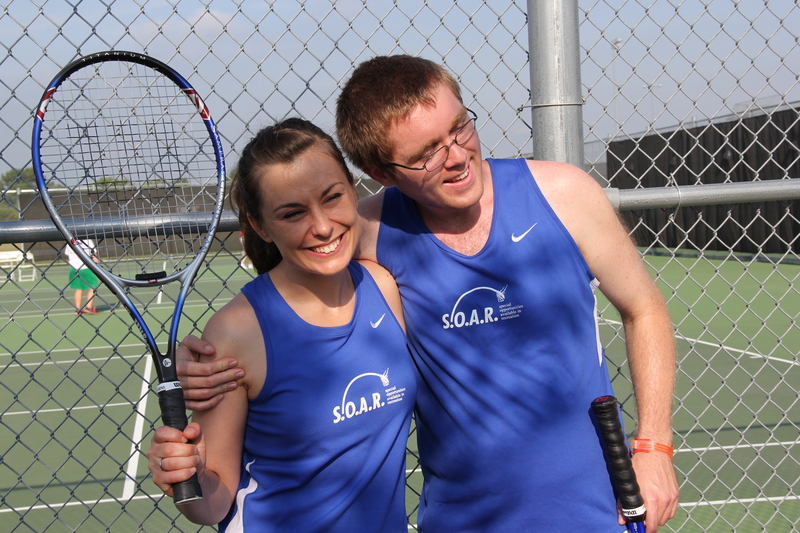 Drew began competing in Unified sports in 2012, and still 3 years later he’s still playing tennis and volleyball with his Unified partner Carol Watson. Unified Sports brings together individuals with and without intellectual disabilities to compete on the same team, allowing them to learn to work together and develop a lifelong friendship. Drew and Carol met playing Unified volleyball. The next year, they became tennis partners. 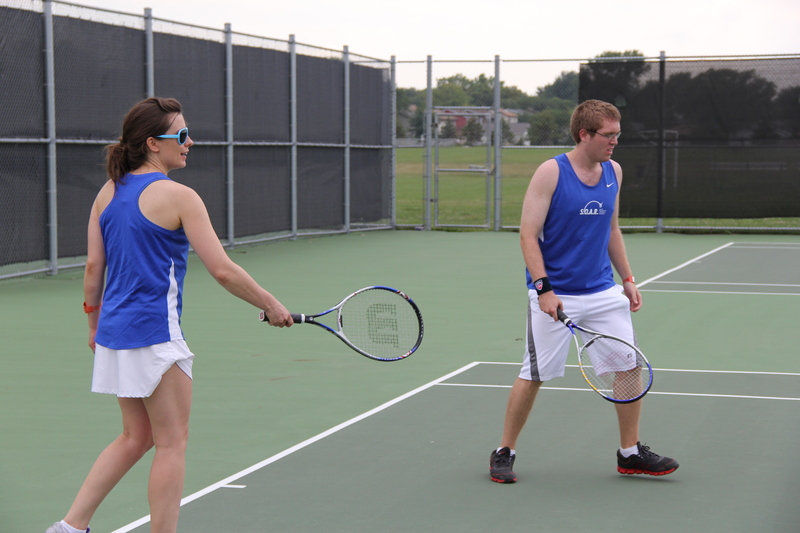 Drew and Carol spend several weeks practicing and playing together during volleyball and tennis seasons. “I enjoy playing tennis with Drew because I get to know him on a more individual level,” said Carol. Drew learns a lot from Carol not only in sporting aspects, but in various areas of life. She teaches Drew during their time spent together practicing and playing that there is more than just playing and winning. “It doesn’t matter who wins, you just need to have fun,” said Drew. 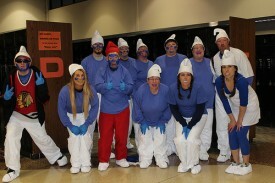 They also spend time together outside of playing Unified sports. The friends, go to the movies and talk about their families together. The bond between Drew and Carol is one that has changed both of their lives forever. They have a friendship that will last a lifetime, and one that helps to improve both of their lives in various aspects. Jay and Vhee White, Drew’s parents, have noticed a phenomenal change in Drew since he started competing in Unified sports with Carol. He is now more social, confident and has gained a lot of friends through Unified sports. Before Drew started participating in Unified he had a hard time sharing his feelings. Unified sports have helped him to grow by teaching him to share his feelings with Carol. “It has showed us how lucky we are to have good people like Carol willing to share part of their life and time to make a difference in our world,” said Drew’s parents. Unified sports does not just change the life of the athlete involved, but is also changes the Unified partner’s life as well. “I learn a lot from the athletes playing unified. Patience, good sportsmanship and what it means to truly win,” said Carol. “When we work together as a team and encourage each other, and most of all have fun, we always win,” she added. Another thing that has stuck with Carol that she learned from the athletes is to stay positive and emphasize effort rather than the outcomes. Playing Unified truly makes an impact on each and every person who is involved. Interested in playing Unified? Find more information here and watch a video about how Unified sports has enhanced Drew and Carol’s lives.